Italian composer Giacomo Puccini was born on December 22, 1858, in Tuscany, Italy, the fifth child and eldest son in a musical family. Since the 1730s, Puccini’s kin had been composing and playing the organ for San Martino Cathedral in Lucca, Italy, and the expectation was that Puccini would follow suit. But when the future composer’s father, Michele, died, Puccini, who was five at the time, showed hardly any interest in music. By some accounts, he was an unfocused youth, considered lazy by some and a truant at school; as one story goes, Puccini and his brother stole organ pipes in order to resell them and earn money for the family. Despite those bumps in the road, Puccini’s mother, Albina, believed in her oldest son and felt certain he had talent. She secured him admission at the Conservatorio Musici. He began playing the organ for San Martino at age 14; by 17, he had started writing small compositions. Puccini continued to grow as a composer, creating his first stage work, Le Villi, for an 1883 competition of one-act operas. Though Puccini’s work was snubbed by judges, it did earn some fans. Supporters funded the opera-ballet’s first production, which was received so favorably that it was subsequently published by Giulio Ricordi, heir to the Casa Ricordi music-publishing house. Le Villi was a triumph: on the night of its premiere in 1884, Puccini’s mother received a telegram reading, “Theatre packed, immense success; anticipations exceeded; eighteen calls; finale of first act encored thrice.” Success was tempered by sorrow when Albina died just months later of cancer. The 26-year-old composer was deeply affected by her death; mother and son had been close, and Puccini considered Albina to be a lodestar and mentor. But the art he created endures. 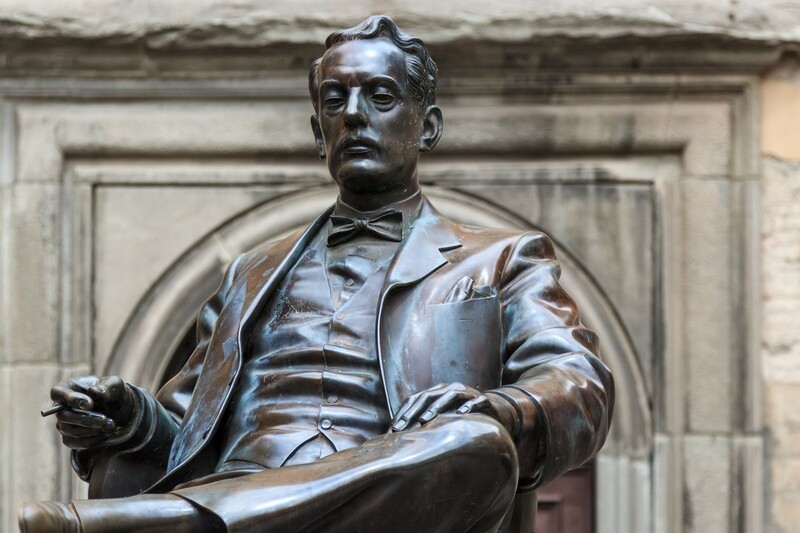 During his lifetime, Puccini wrote the famous operas La bohème, Tosca, and Madama Butterfly, works that continue to enchant modern listeners. And perhaps because of his own complicated life and a persistent struggle with melancholy, Puccini created characters who are all too human and relatable because of that: real people in real-life situations portrayed without sentimentality or idealization. To get a sense of the radiance and emotion inherent in Puccini’s work, listen to his famous aria from Tosca, “E lucevan le stelle,” as interpreted by Luciano Pavarotti.